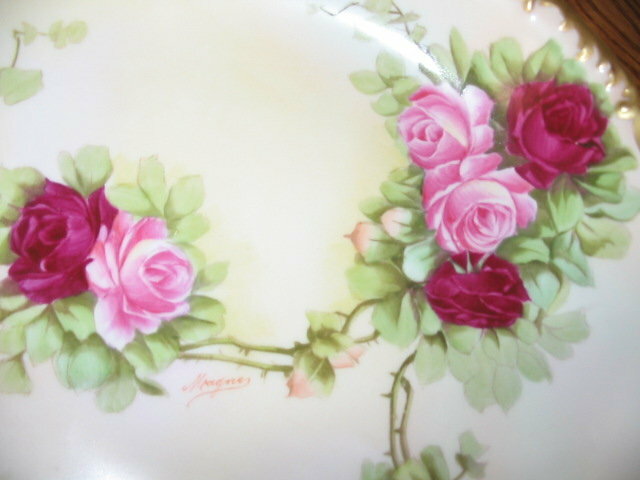 HERE IS A LIMOGES STUDIO ARTIST SIGNED HAND PAINTED BOWL FEATURING BEAUTIFULLY DECORATED PINK ROSES. IN THE IMAGES YOU CAN SEE THE SKILL OF THE ARTIST WHO'S NAME IS MAGNE AND IS ILLUSTRATED IN MARY FRANK GASTON'S COLLECTOR'S ENCYCLOPEDIA OF LIMOGES (3RD ED.) PAGE 397. 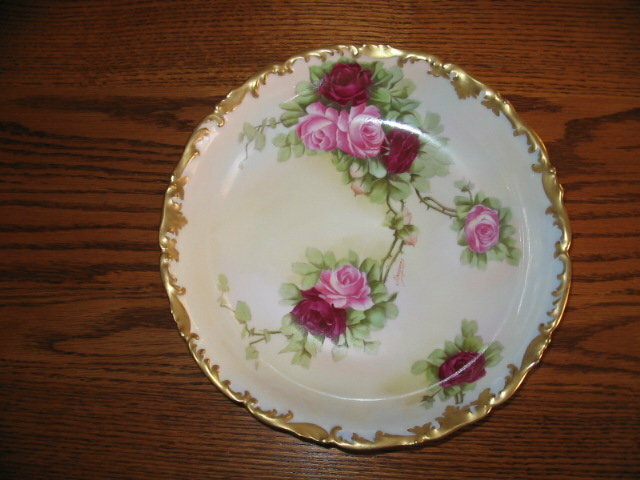 THE BOWL IS 10.25" IN DIAMETER AND 1" HIGH. IT IS IN GREAT CONDITON WITH NO CHIPS, CRACKS, HAIRLINES OR REPAIRS. LOOKS LIKE IT WAS SELDOM IF EVER USED. 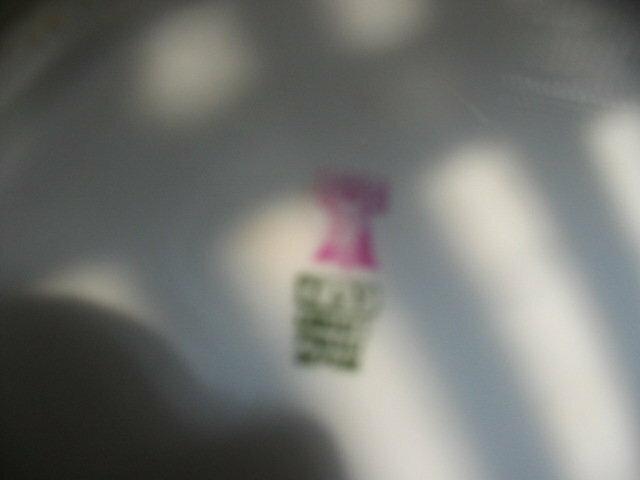 TRESSEMANN & VOGT MARK 8 IN GREEN UNDERGLAZE AND OVERGLAZE MARK 16 IN PURPLE. 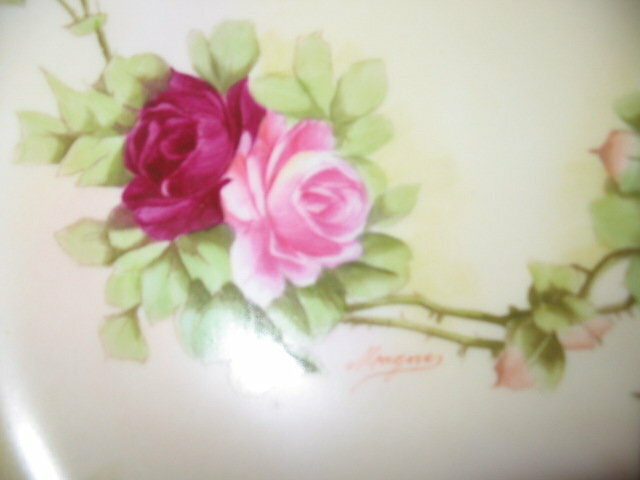 Items Similar To "FAMOUS ARTIST T &V LIMOGES ROSE BOWL"